Take a Break! You Should Use Your Vacation Time & Here’s Why…. With the holiday season starting this a good reminder of why it is important to use your vacation days at work. You might think that as a whole that Americans are great vacationers, but the stats show otherwise. The number of vacation days the average American takes has dropped by four days just since we entered the 21st century. Your vacation days are valuable and they may disappear at the end of the year, so you may as well use them to have a little more fun. You could go take a road trip, find a cheap flight, or explore the city you live in like a tourist. It’s not only fun, it’s good for you. 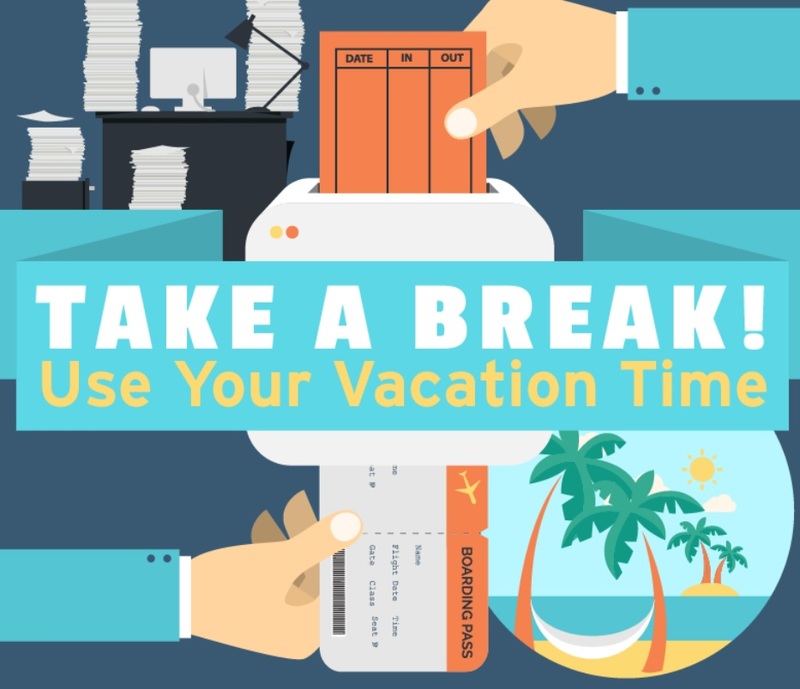 CityPASS found all the stats and benefits to taking your vacation days and put it into a fun infographic. For benefits to your health, take your vacations to go on vacations, not to run errands or go to the doctor – though that’s important too. Vacations are great for getting rid of stress, and that alone has more health benefits than you might think. CityPASS is a booklet of discounted admission tickets to the top tourist attractions in 12 North American destinations, including Atlanta, Boston, Dallas, Houston, Philadelphia, Seattle, Tampa Bay, Toronto, New York, San Francisco, Chicago, and Southern California. CityPASS travelers save up to 50% compared to combined regular box office prices, and skip the ticket line and head straight for the entrance!